In this post, I have described a special Vashikaran Yantra to enchant any special person or all persons by meeting of eyes or looking into the eyes. In the Hindu language this Yantra is called as Nazar Se Vash Karne Ka Vashikaran Yantra or Aankhon Se Vashikaran Karne Ka Yantra. Vashikaran By Eyes or Aakhon Se Vashikaran is probably one of the most popular and effective kind of Vashikaran Love Spells for casting a Spell on any desired person by looking straight into the eyes of that person. 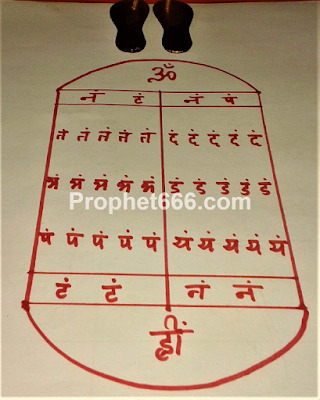 This Vashikaran Yantra, which uses a specific kind of hypnotic techniques that immediately transmits the thoughts of the practitioner into the mind of the target is quick to give results, which can sometimes be instantaneous. 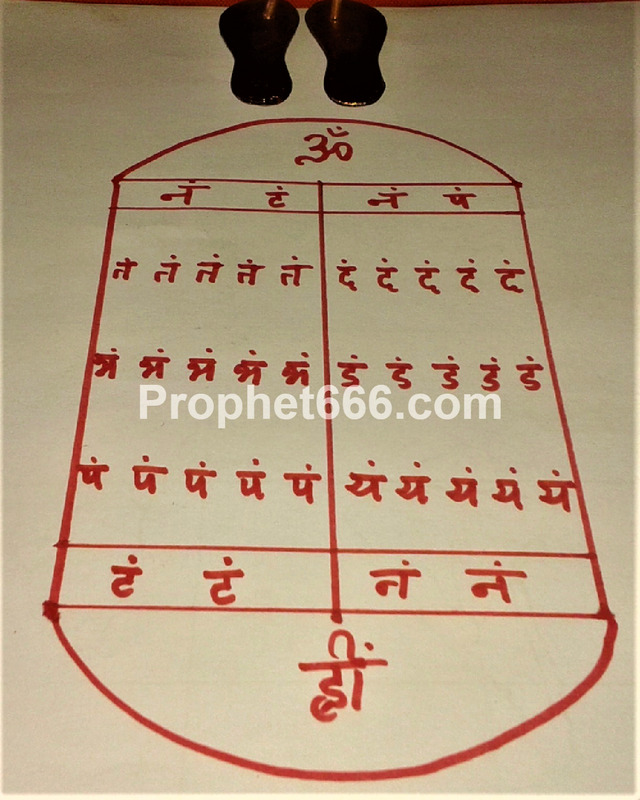 This Vashikaran Yantra has been described earlier on this site and in this post we have described a simpler but more powerful and effective method of casting the Enchantment Spell. The steps mentioned below should be followed in order to make and use this Vashikaran By Eyes Yantra. 1] The Vashikaran Yantra should be prepared on any auspicious day as per the Hindu Almanac, like a Shubh Tithi, Yog, Nakshatra or during the period of any Hindu festival. 2] The Yantra should be prepared either on a Bhojpatra or a plain white piece of paper as shown in the example image of the Yantra given below. 3] Ashtagandha Paste and Chameli Kalam or pointed wooden stick of a jasmine plant should be used as the ink and pen for drawing the Vashikaran Yantra. 4] After drawing the Yantra, it should be placed on a wooden Chowki and worshiped and an oil lamp and incense stick should be lit before it. Then, fresh flowers and a Prasad of any sweet item, like Mithai, Kheer or Sugar should be offered to the Vashikaran Yantra. 5] Then, the Yantra should be folded and inserted inside a metal locket and worn around the neck. The Yantra can also be laminated and kept in the pocket. The locket can be of any metal, like gold, silver, copper or stainless steel or any ally like Ashtadhatu or Triloha. Then, as per the Vashikaran Tantra, any person, including a desired person can be brought under an attraction spell by looking into the eyes of that person and conversing with him. Note- All the information contained in this post is as per the Vashikaran Tantra and this site is in no position to guarantee the success of this Vashikaran technique.